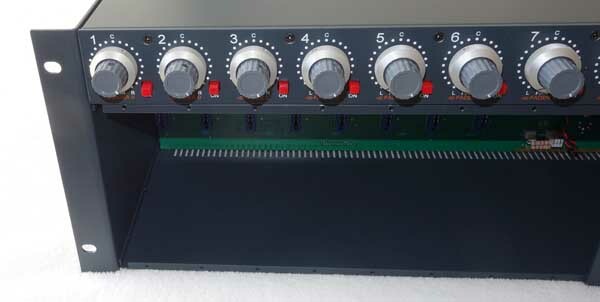 SOLD 500-Series w/Neve 1073 Make-Up Gain!!! 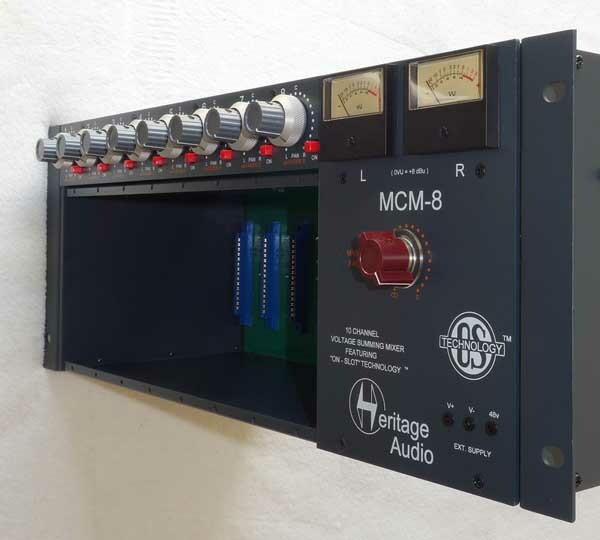 Up for consideration is a brand new product from Heritage Audio: Music Compact Mixer MCM-8, a modern 8-Slot 500-Series chassis featuring OST, coupled with a Neve-style 10-channel summing mixer w/transformer-coupled Neve 1073 type make-up gain. 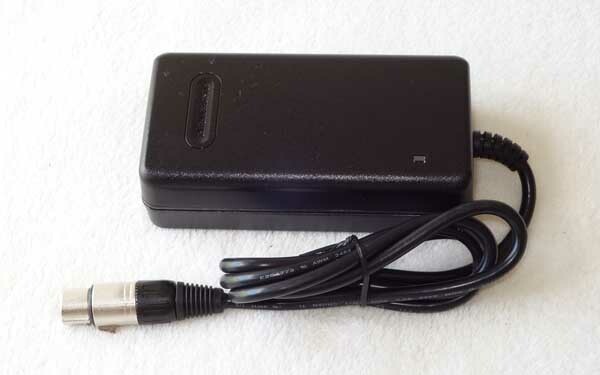 This is a very flexible 500-series enclosure that can be used for tracking and/or mixing. The 500-series chassis features OST isolated slot power, removing one of the major concerns with 500-Series power distribution!!!  CLICK HERE for additional 1270 DPI Hi-Res photos of the MCM-8, HERE are the MCM-8 specs from Heritage's USA Distrubutor, and HERE is info about Heritage Audio, and also there is some additional info: [ 1 | 2 ]. MCM-8 has the innovative OST powerering scheme, which isloates each slot's 400 mA power, avoiding the common issue of a slot being under-powered due to a neighboring power-hungry module. In addition, the MCM-8 includes a 10-channel summing mixer with their Neve 1073-style make-up gain. Additional features include dual concentric pots for panning & fader, master fader, and Aux in for linking 2 modules together. 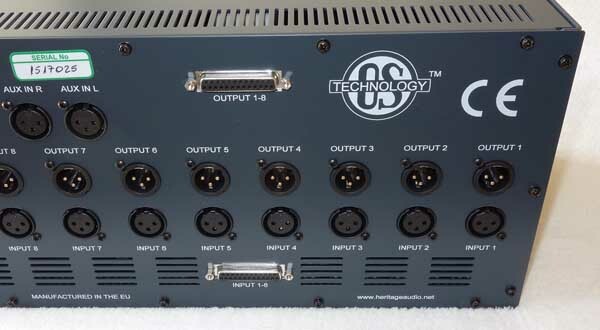 In all this is a very versatile system that can be used for tracking or mixing, featuring a rock solid build quality, isolated power for each module, and Neve 1073-style console summing. USA insured shipping is FREE via FedEx Ground. Satisfaction Guaranteed, with a 3-day return, buyer pays shipping, so please ask questions first. 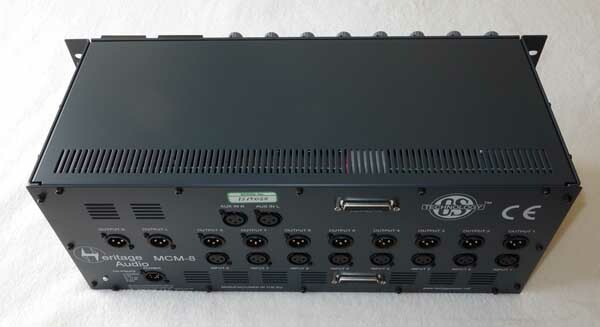 This auction is for a single Heritage Audio MCM-8 500-Series chassis / Summing mixer, external PSU, and mounting screws.